C.L. Taylor lives in Bristol with her partner and young son. She studied for a degree in Psychology at the University of Northumbria,Newcastle and has worked as a sales administrator, web developer, instructional designer and as the manager of a distance learning team at a London university. She now writes full time. CL Taylor’s first psychological thriller ‘The Accident; was one of the top ten bestselling debut novels of 2014 according to The Bookseller. Her second and third novels, ‘The Lie’ and ‘The Missing’, were Sunday Times Bestsellers and #1 Amazon Kindle chart bestsellers. Her fourth psychological thriller, ‘The Escape’, will be published on 23 March 2017. She is currently writing her first young adult thriller, ’The Treatment’, which will be published in September 2017. To the readers of the blog, that may not be familiar with you or your writing, can tell us a bit about yourself and how you got into writing? My mum recently cleared out her attic and found a huge pile of books I’d written and illustrated as a child. When I was eight I sent one of them, ‘The Flower Friends and The Evil Weed’, to Ladybird publishers. They rejected it but they did send me a very nice letter with lots of useful advice like ‘Ask an adult to type it up for you’ and ‘Keep the illustrations on separate pages’. I tried again when I was eleven and was rejected again. I was thirty-five when my first book was published – A supernatural romantic comedy called ‘Heaven Can Wait’ (Orion). My second book, ‘Home for Christmas’, was published two years later (writing as Cally Taylor). Whilst on maternity leave with my son in 2012 I had an idea for a psychological thriller. That book, ‘The Accident’, was published in 2014. Since then I have written a psychological thriller a year – ‘The Lie’, ‘The Missing’, ‘The Escape’ – all published by Avon HarperCollins. A lot of my books are based on my fears – fear that an abusive ex will return, fear that friends could turn against me, fear that something could happen to my son. Other ideas are based on news reports I read and documentaries I watch or are just plucked out of thin air. I do have my own book club! OK, it’s an electronic book club where I review books that I think will be the next big thing (www.cltaylorauthor.com/newsletter) but if I could ask questions of any author I’d love to chat to Margaret Atwood and Maggie O’Farrell. ‘It was a bright cold day in April, and the clocks were striking thirteen.’ – ‘1984’, George Orwell. So much intrigue in one sentence! Holding the finished book in my hand. Coming a close second is brainstorming the idea initially. I love the adrenaline rush when an idea or scene that works pops into my brain. A strong mystery, perfect pace, intriguing characters and a killer ending. Out of all the books that you have written, which one is your favourite? I am most proud of ‘The Escape’. The more books I write the more I learn about what works, what doesn’t and where my strengths and weaknesses lie as a writer. Whenever I finish writing a book I am always a little disappointed that it doesn’t perfectly reflect the initial idea in my head. The Escape is the one book that comes closest to my initial idea. The Harry Potter series (is that cheating? ), the complete works of Shakespeare, and ‘War and Peace’ (there’s no way I’m going to find the time to read it otherwise). Don’t spend too much time writing and rewriting your first few chapters, keep writing until you reach the end. You may find that you have started the book in the wrong place and you need to cut your first few chapters. All writers reach points in their books when they become convinced that it’s awful and they should write something else instead. Typically these points are at 20,000, 40,000 and 60,000 words. Keep writing through your doubts. You can fix anything that isn’t working in the rewrite. And finally Cally do you have any projects or releases on the horizon which you would like to share with the readers of the website? This year I’ve also written a YA thriller – ‘The Treatment’ – which will be published by HarperCollins HQ on 19th October. I can’t say too much about it yet but if you loved my novel ‘The Lie’ this book should be right up your street! 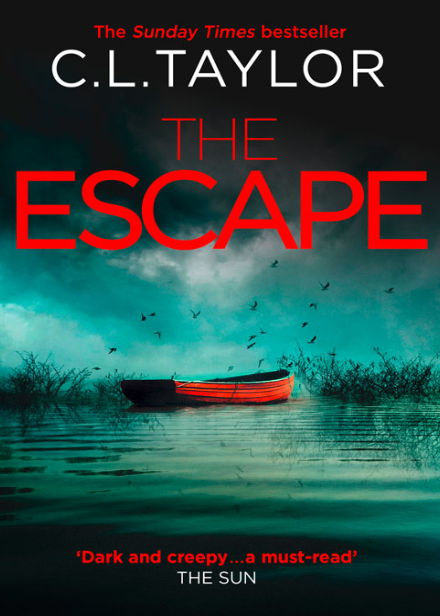 ‘The Escape’ is the latest book by C.L Taylor. “Look after your daughter’s things. 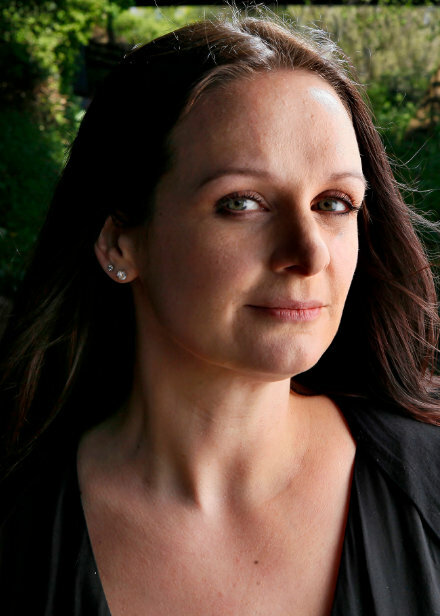 And your daughter…”When a stranger asks Jo Blackmore for a lift she says yes, then swiftly wishes she hadn’t. The stranger knows Jo’s name, she knows her husband Max and she’s got a glove belonging to Jo’s two year old daughter Elise. What begins with a subtle threat swiftly turns into a nightmare as the police, social services and even Jo’s own husband turn against her. No one believes that Elise is in danger. But Jo knows there’s only one way to keep her child safe – RUN. C.L. Taylor is back with another gripping read about a mothers strong desire to protect a child from harm. In this story, we meet Jo, an anxiety ridden mother who suffers badly from claustrophobia but is determined to give her daughter Elise, the best life she can and not let the illness get in the way. Until one day, a stranger approaches her claiming that her husband, Max has something that belongs to her. But Max is adamant that he knows nothing or has nothing belonging to the woman. And so begins a race, a race for Jo to fight for her daughter and to prove her sanity, as she becomes target to a horrible tortuous campaign against her. Like C.L.’s previous books, this book was thrilling and fast paced that made for gripping reading. The story is primarily seen through the eyes of Jo, a tortured soul who’s only instinct is the care of her little girl, but she’s unhappy in her marriage and is trying to overcome her claustrophobia to move on, but at regular points, she’s victim to a new case of harassment, with planted drugs and doubts over her sanity, making people wonder if she’s capable of being a fit mother. To prevent her daughter from being taken from her, Jo goes on the run to Ireland, creating new identities for the pair of them and I found this part of the story particularly interesting, as it was set in areas of Ireland that I visited when I was a child and was familiar with. Also in this part of the story, there’s an intriguing sub story, featuring the landlady of the B&B that she stays with and her complexities also make for entertaining reading. In a clever twist, there’s also elements of the story seen from the perspective of Jo’s tormentor and this is wonderfully riveting as we try to guess who the person is who’s terrorising Jo. ‘The Escape’ is another action packed and emotionally charged story from C.L. Taylor, riddled with suspense, drama and mystery, this story of a mothers love is an engaging and exciting story that really pulls the reader in and grips them at every twist and turn. You can pre-order The Escape from Amazon and will be available to buy from 23rd March 2017. 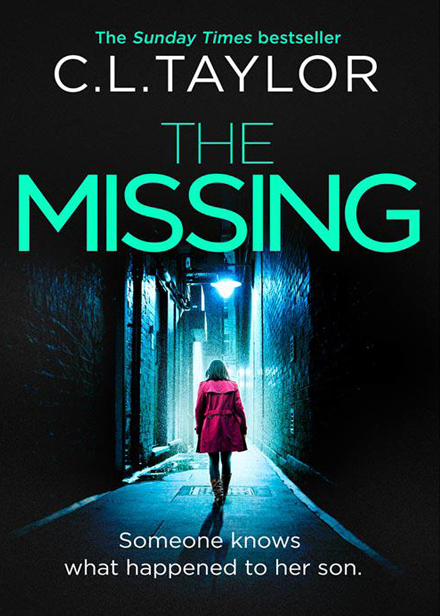 ‘The Missing’ is the latest book by C.L Taylor. 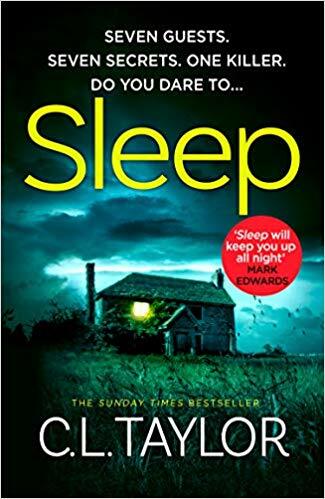 Someone knows what happened to Billy …When fourteen-year-old Billy Wilkinson goes missing from his Bristol home in the middle of the night, there isn’t a single member of his family that doesn’t feel that they are to blame. But the Wilkinson’s are so used to keeping secrets from one other that it isn’t until a year later, after an appeal for information goes horribly wrong, that the truth begins to surface. Claire Wilkinson, Billy’s mother, begins to suffer from terrifying fugues, vanishing from her home and coming to in strange hotel rooms and on unfamiliar streets. In her handbag are items she’s never seen before. The first time it happens, her doctor writes it off as an unusual reaction to stress. But when she wakes from a blackout with blood on her hands, no one can explain how it got there, least of all Claire. A mother’s bond with her child is unbreakable, but what if she has something terrible to hide. ‘The Missing’ is the latest book by C.L Taylor and the story is about every parents nightmare, when a child goes missing and worst is suspected. The story is seen through the narrative of Claire, the mother of Billy Hutchinson, whose son goes missing one day and begins six months after his disappearance and the police ask her to make another plea for her sons return. The dark tale is seen through the mother’s eyes, as she fears the worst and tries to deal with every unthinkable scenario imaginable just as kidnapping and death and has to deal with the moments of hope and the moments of utter despair. As the story develops, we follow Claire and her family of her husband, Mark and their older son Jake and his girlfriend Emma. As time passes, Claire has sudden bouts of black outs and these moments bring on new memories of Billy’s last days and she uses this information to piece together his whereabouts. The story flows in a quick and suspenseful manner, where new evidence and information makes everyone a suspect in the story as new information is revealed and secrets are exposed and Claire discovered that she didn’t know everything about her family. Claire is a strong lead, she’s optimistic about Billy but she does often have moments of clarity which does make for hard reading, as the family fight against each other and emotions run high as they desperately try to find their son. The story is primarily seen through Claire eyes but there is an addition of chapters featuring messages between two people and these are interesting reading as we try to figure out who the characters are. ‘The Missing’ is an emotionally charging story that keeps pulling the reader in, filled with twists and drama and plenty of suspense, this thrilling and unsettling story about a parents nightmare had me guessing and gripped throughout. You can buy The Missing from Amazon and is available to buy from good bookshops.